South West Durham Training works with many of the biggest engineering and manufacturing companies in the region. They include GSK, Hitachi Rail, Husqvarna, 3M Cummins in Darlington, Ebac, MTE and Nifco UK in Stockton. All engineering students – both full time and apprentices – must complete a L2 NVQ course in Performing Engineering Operations for one year (Electrical and Mechanical, Fabrication and Welding, or Precision Engineering) prior to progressing on to a two year L3 Diploma in Engineering or a L3 Advanced Apprenticeship. The 33-month L3 Advanced Apprenticeship has seven pathways including CAD and drawing, precision engineering, fabrication and welding, maintenance, and technical support. 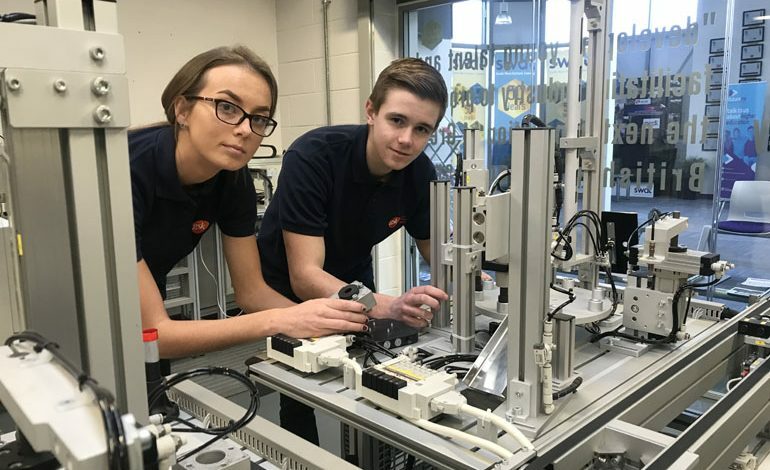 Summer Anderson and Daniel Collinson are first year engineering apprentices at global healthcare giant GlaxoSmithKline plc (GSK), which employs more than 1,000 people at its manufacturing site in Barnard Castle. Summer, 19, of Middlesbrough, said: “I am finding my apprenticeship to be very enjoyable. Every day is different and I feel my confidence is improving. • For more information about engineering and plumbing training opportunities visit swdt.co.uk or email [email protected] or call (01325) 313194. Electricians have just one month to get up to speed with the latest requirements for all new and amended electrical installations. In July, the Institution of Engineering and Technology and the British Standards Institution released the 18th Edition of the IET Wiring Regulations – the essential publication for all professionals working in the electrical industry. To ensure electricians are fully compliant with the new regulations, South West Durham Training has launched a new theory-based three day City & Guilds 2382-18 18th Edition Course. 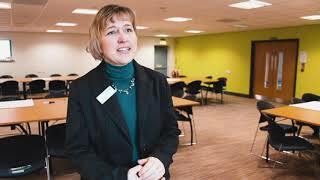 Aycliffe Today readers can qualify for a 10% discount by quoting SWDT18 when registering for the 18th Edition course with South West Durham Training. Email [email protected] or call (01325) 313194. Next article Former Woodham student hits the West End!